Ever wonder how your business proposal gets evaluated? 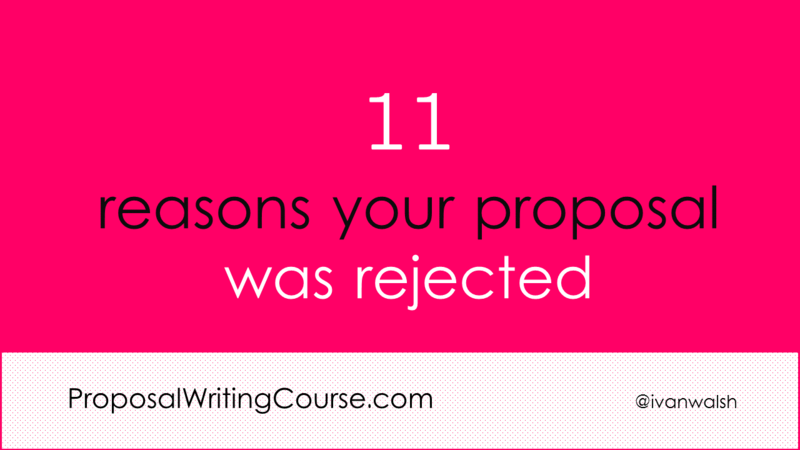 One of the problems when responding to Request For Proposals is that, unless you know how proposals are scored, you might focus your efforts on areas that have less value and win less contract awards as a result. With that in mind, here are some guidelines on how bids are evaluated. Once you flip these around, you can write your proposal to meet these criteria. The evaluation team tries not to let the fixed cost price determine the contract award. It looks for other areas where the vendor adds value or… could be hiding costs that need to be factored in. They will usually exclude prior experience with the software/vendor when scoring the proposal to ensure objectivity. In order to score a bid, you need to setup the evaluation teams, create scoring guidelines, and develop a process to manage the contract award. Setup an RFP team – The team includes members of the project from the client’s site, such as software, testing, and business units. It reports to the Evaluation Committee. RFP team duties – The team does most of the RFP proposal evaluation. It is not allowed to communicate in private with vendors until the evaluation process has ended. State this in the Request For Proposal so vendors know it in advance. However, after the evaluation process, the team can meet vendors to resolve queries, clarify items or view presentations. Setup an Evaluation Committee – This committee reviews the team’s evaluations, findings and recommendations. It approves decisions and choice of vendor. Setup RFP scoring guidelines – Arrange this before contacting vendors. When you receive the bids, score them as per the guidelines. Setup scoring and weighting schemes to evaluate your Request For Proposal. Ensure it is objective and used consistently across all bids. Review & Score – Review each proposal, award scores, resolve queries, seek clarifications, meet bidders and achieve consensus. Evaluation – The RFP team evaluates and score proposals individually. Once completed, they meet, discuss and compare findings. They agree a consensus score for each point and for the proposal. Resolution – During evaluation, there will be differences in scores. These must be resolved to reach consensus. Reaching consensus – Team members should be willing to compromise and adjust their preliminary scores if there are compelling reasons. Vendor Recommendation – Once queries have been resolved, items clarified, and consensus agreed, the assessment team prepares the results and presents these to the Evaluation Committee for discussion and agreement. Progress Reports – Team members must attend progress review/evaluation meetings. How do you calculate the (true) cost of the bid? The team members reviews and evaluates all proposals and their contents. Each member contributes to the final consensus scores for each proposal. To ensure transparency, setup the evaluation guidelines before you publish the Request For Proposal. This streamlines the award process and allows you to evaluate and award the contract as quickly as possible.